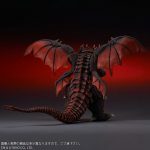 SuperGhidorah reviews the North American (Diamond) Reissue of the Toho Large Monster Series Destoroyah vinyl figure by X-Plus. 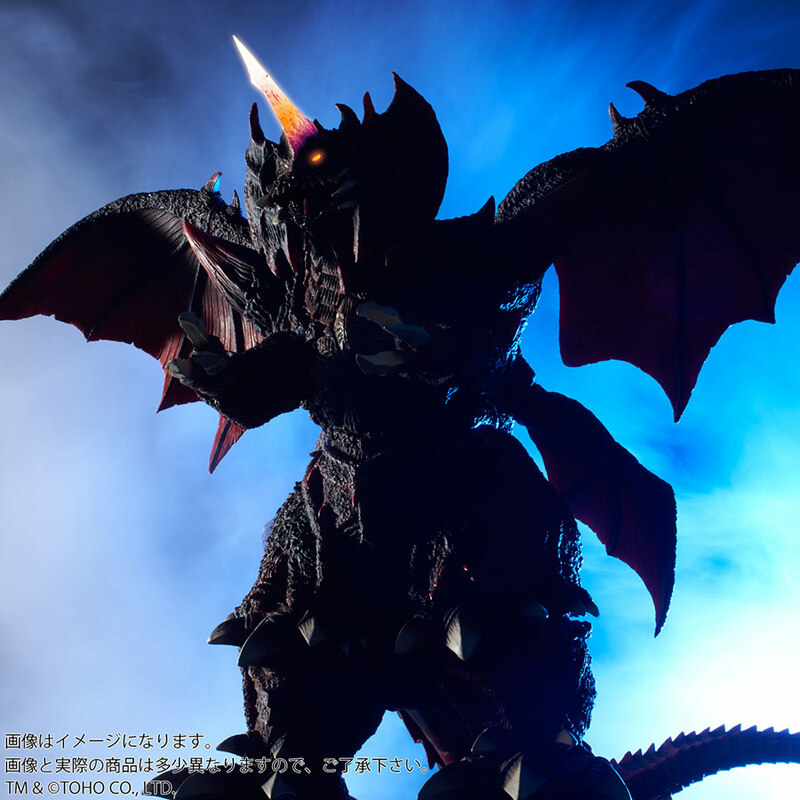 X-Plus’ Destoroyah Reissue (now with light gimmick) now up for Preorder. 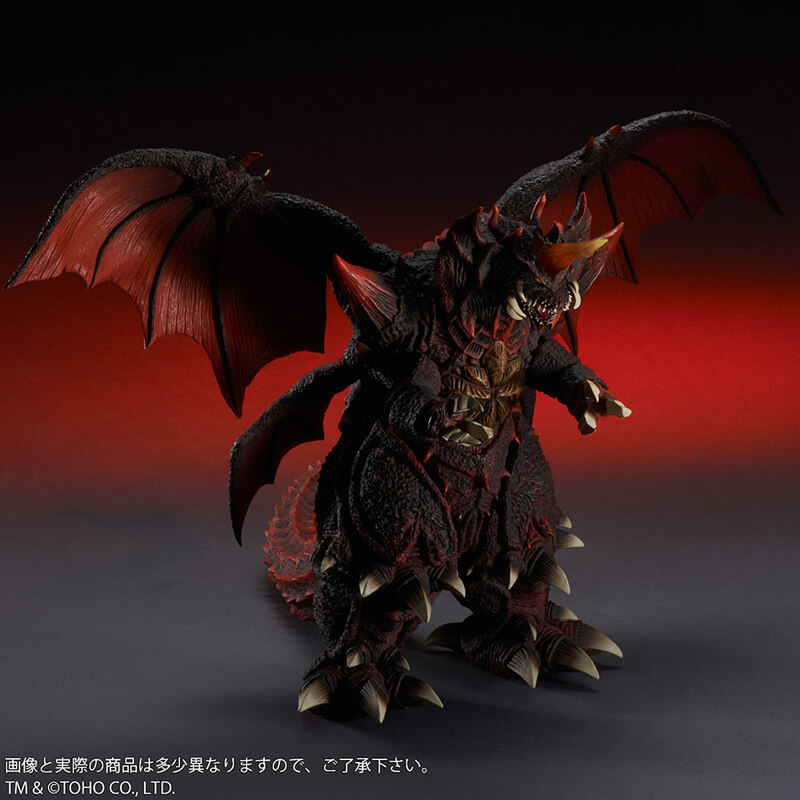 The Toho Large Monster Series Destoroyah vinyl figure by X-Plus is now available to order again. This truly amazing vinyl was first released back in December of 2015. It followed the Large Monster Series Godzilla 1995 which was released the summer before. But, there’s something special about this release. Unlike the original release, this one will have light-up eyes and horn. Also new is the way X-Plus is taking orders. There is no deadline. Instead, X-Plus will end orders as soon as a predetermined number of reservations is reached. Because of this, we have no idea at all when the preorder window will close. This is good in that you may have more time to place your order, like the Godzilla 2016 Form 2 figure which is still taking orders. Then again, you could wake up one day to discover your chance is gone, just like that. Reservations started today, July 21. X-Plus is asking for ¥29,700 (currently $266 USD). There is no standard version of this release. If you want it, you’ll have to take the RIC. 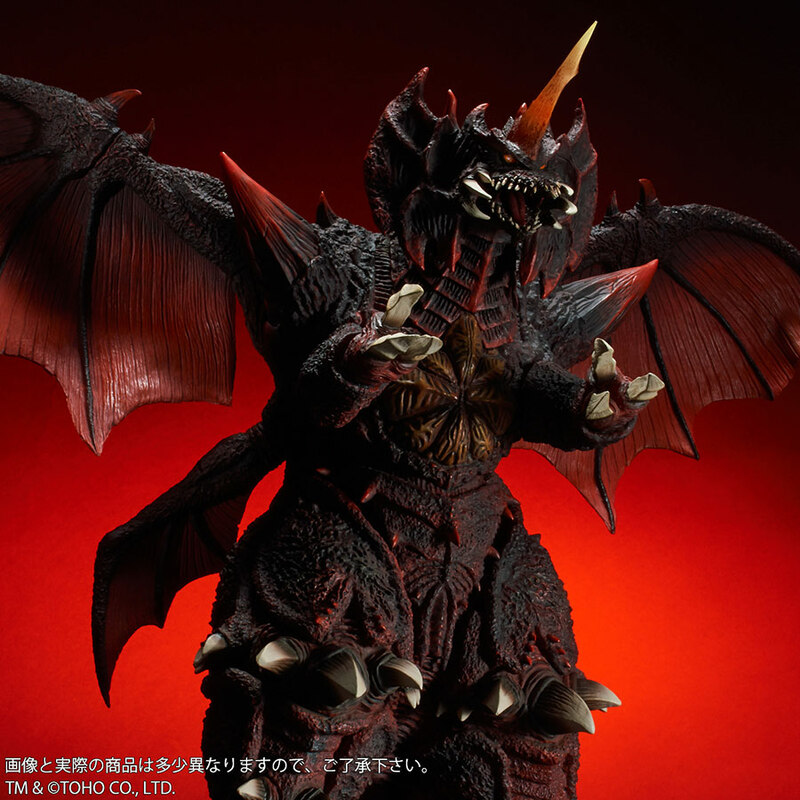 It will be available only from the X-Plus Ric store, Premium Bandai and the Godzilla Store. 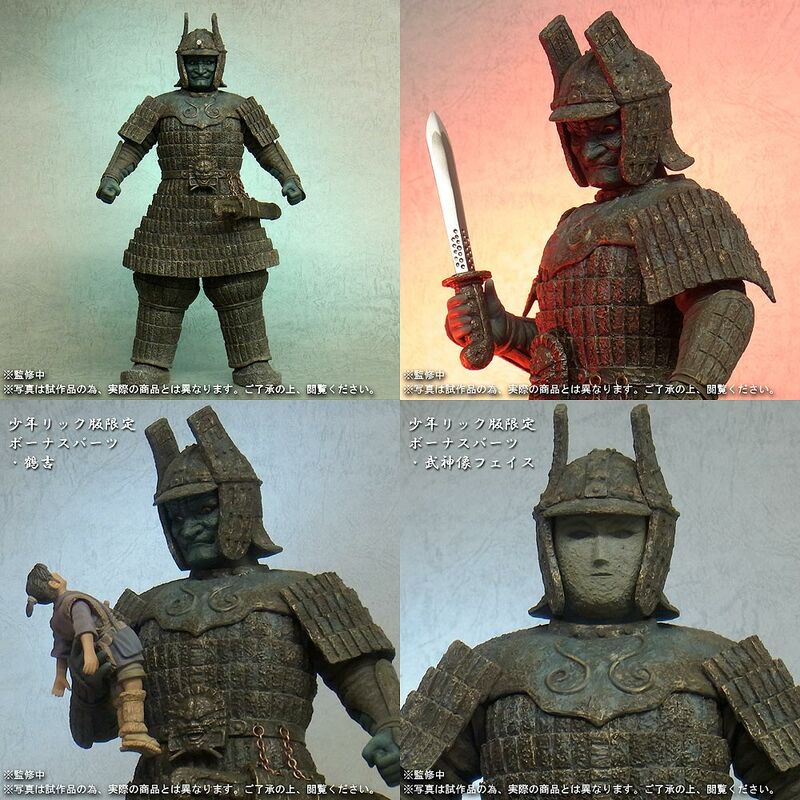 All three stores are in Japanese and will NOT ship overseas so you’ll need a forwarding service like Tenso.com or have a friend with connections get one for you. This figure is expected to release in October 2017. • This figure is freaking amazing. The intricate details, textures and paint applications make this one of the most impressive figures X-Plus has ever put out. • Despite being in the smaller (25cm) series, this figure is big. And not only because the suit was bigger; it’s actually big for the series. Both it and the Large Monster Series Godzilla 1995 are oversized enough that they seem to need to belong to another series somewhere between the 25’s and the 30’s. So they’re technically not in scale with the rest of your Large Monster Series Collection. There is a place for it though. 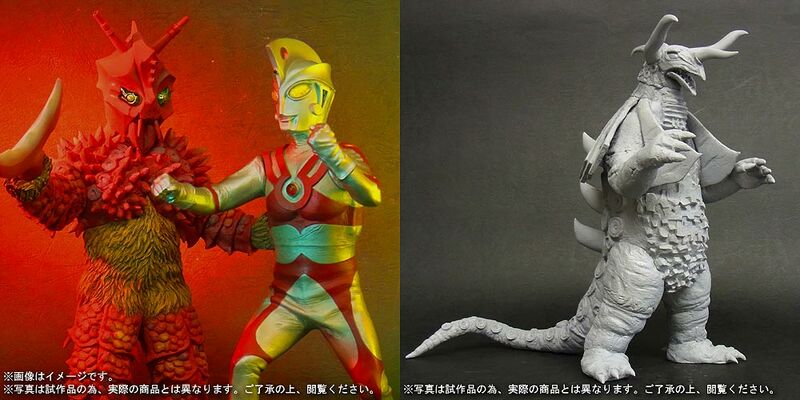 Destoroyah (and Godzilla 1995) scale very well all of the figures in the Yuji Sakai Modelling Collection. • It’s heavy. To help keep its balance, both legs are filled with resin. It will never topple over. • The wings come already attached. You need only add the tail. • This figure has a tendency to arrive with a detached wing. Because of what I feel are oversights in the packaging, it’s not uncommon to have your figure arrive with one of the wings popped out of it’s socket. The floor of the styrofoam shell is too thin in my opinion. There are also two pockets of space below that (in the box and in the case box) which can permit this heavy figure to shift downward if the package is plopped down. The tip of the wings are held in place by the snug styrofoam pit in which it sits, while the rest of the figure is “permitted” to shift slightly downward. But don’t worry. The wings can be easily reattached using superglue. They connect very easily each using a “tab” (no suction cups). You’ll just have to be patient while you sit there are hold the wing while it sets. • Finally, it really does need to be repeated: this figure is freaking amazing. It almost feels like it needs to belong to a super premium X-Plus line or something. It really is that good. 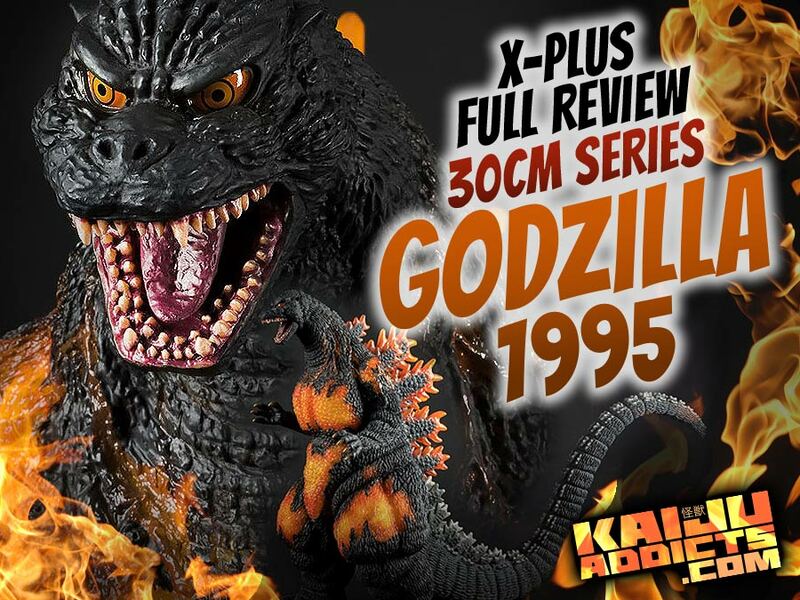 KaijuRob reviews the Toho 30cm Series Godzilla 1995 vinyl figure by X-Plus which came out earlier this year. 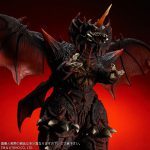 William Fett of The Godzilla Files reviews the Toho Large Monster Series Destoroyah (東宝大怪獣シリーズ デストロイア　少年リック限定版 ) RIC Exclusive Version vinyl figure by X-Plus. Based on the 1995 film, Godzilla vs. Destoroyah, this RIC came with an exclusive Crab Form Destoroyah. Leslie Chambers reviews the Toho 30cm Series Godzilla 1995 (東宝30㎝シリーズ 「ゴジラ1995」) Standard Version vinyl figure by X-Plus. It was released in April 2017. Matt Jacobson, a.k.a. Gojira851 unboxes and reviews the Toho 30cm Series Godzilla 1995 vinyl figure by X-Plus. The Toho 30cm Series Godzilla 1995 vinyl figure by X-Plus was first revealed at the Miyazawa Model Exhibition (a private industry event) in late 2016. Pre-orders for the figure opened February 3, 2017 and ended on February 19, 2017. The figure was released in April 2017. The average price for the Standard Version was about $190. The RIC Exclusive version of this figure came with a mini Oxygen Destroyer and sold for ¥25,920 (about $232). 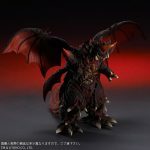 This release marks the first time X-Plus has put out an original 30cm Series Heisei Godzilla original sculpt (Not Sakai) since 2013 with the release of the 30cm Series Godzilla 1984. 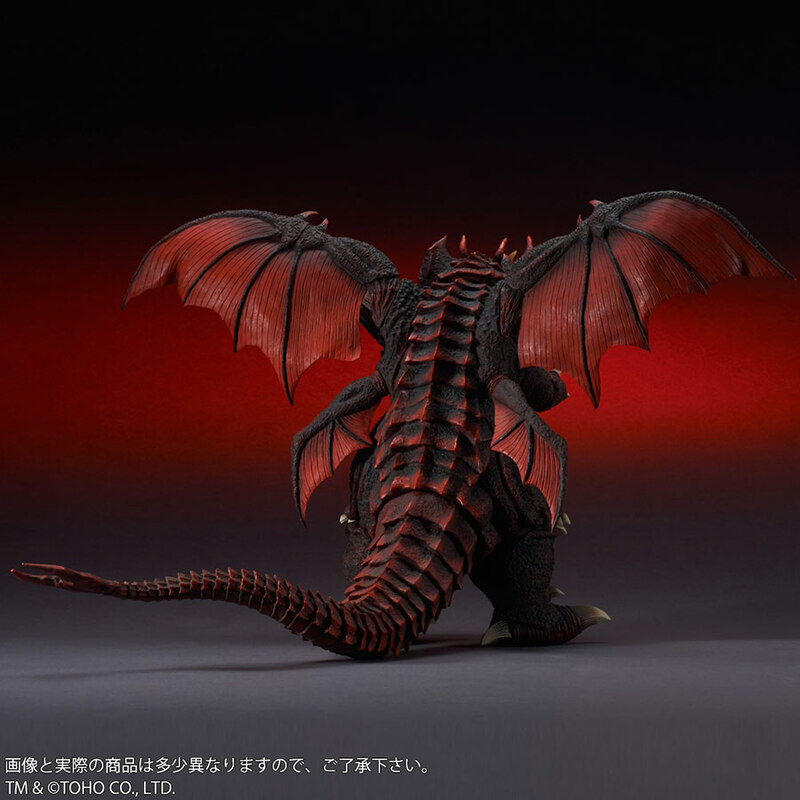 Also consider that we haven’t seen ANY other X-Plus original 30cm Godzilla’s after 2013 besides the two versions of the Godzilla 2014 figure. Yes, it’s been a long, long time but X-Plus is back with bang. The new 30cm Series Godzilla 1995 is f’n AMAZING. 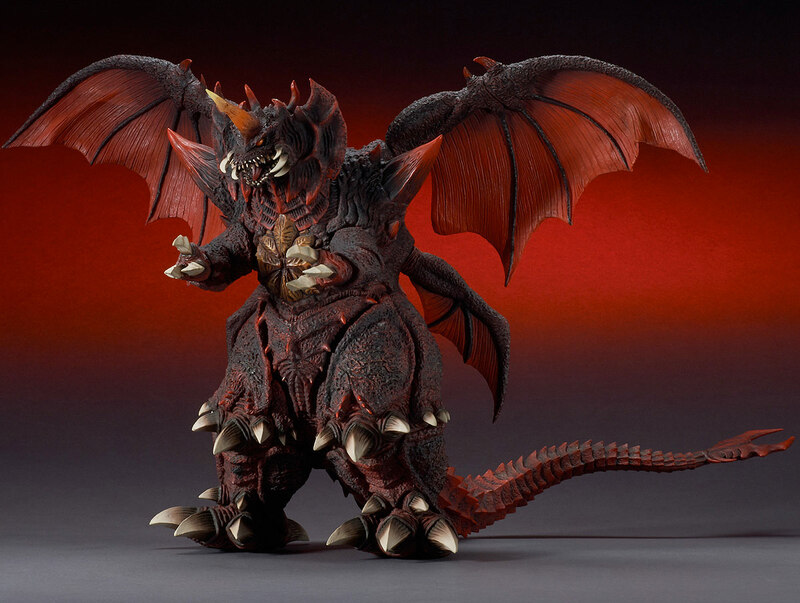 Rich Eso reviews the Toho 30cm Series Godzilla 1995 RIC Boy version vinyl figure by X-Plus. 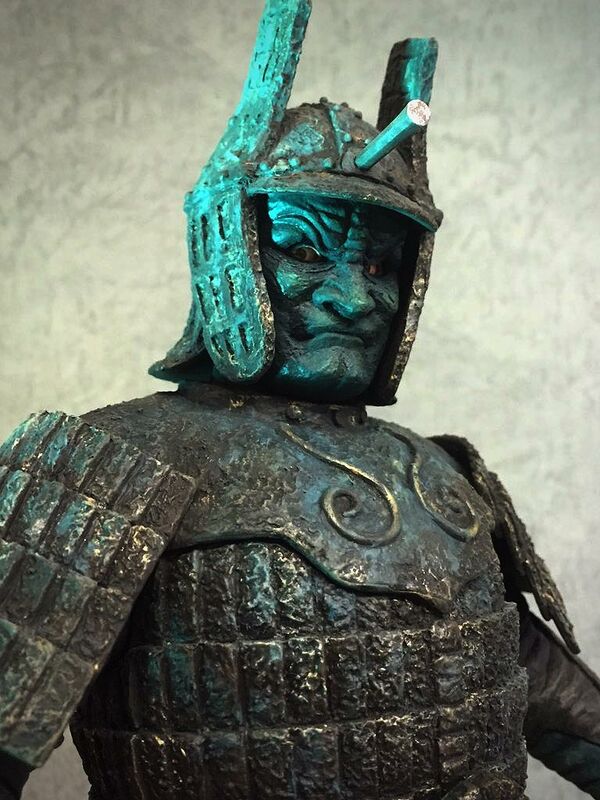 Episode 2 of Kaiju Addicts TV is now available. I take a look at all of the Diamond and Bluefin Reissues that have just released and will be released now thru January 2017. They are the Gigantic Series Godzilla 1995 SDCC Exclusive (Available Now), 12in Series Godzilla 1992 (Available Now), King Ghidorah (Available next week! 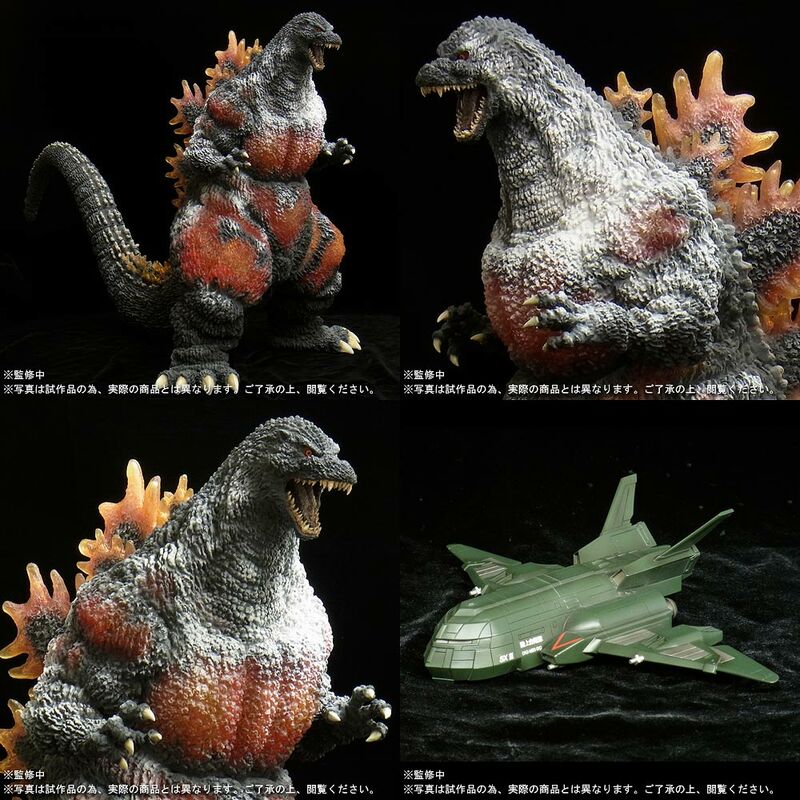 ), 12in Series Godzilla 1984 (Coming in December), Biollante (Coming in December) and the Gigantic Series GMK Fin Emission Version (Coming in January 2017). Leslie Chambers introduces this episode and we also get our first Guest Review from Jeremy Soles on his Gigantic Series Godzilla 1962 Ric Boy. There’s also a contest for a Godzilla 1984 photo signed by suit actor Kenpachiro Satsuma. Visit this video directly on YouTube to get access to all of the links mentioned in the video. They’re below the video in the description. 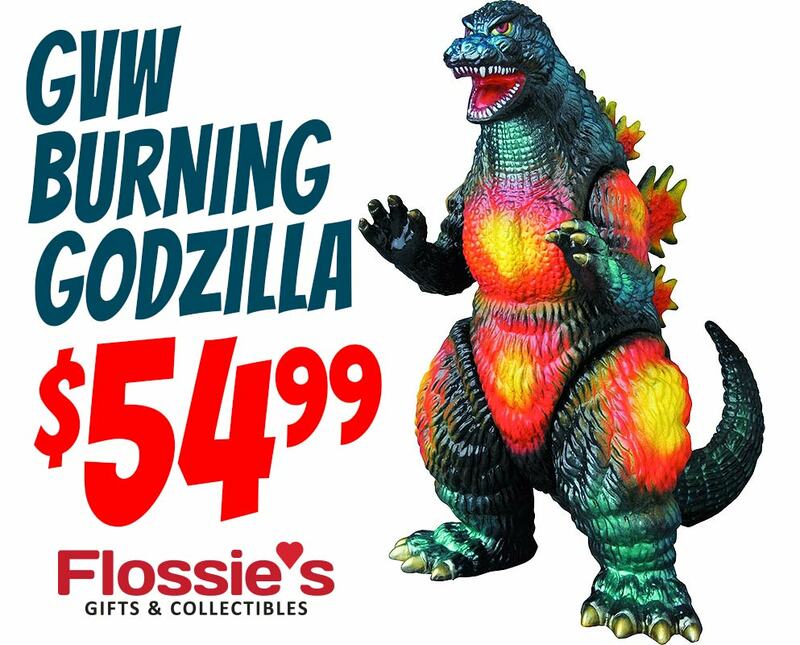 The Godzilla Vinyl Wars Previews Exclusive Burning Godzilla 1995 Sofubi is available for order from Flossie’s Gifts & Collectibles. From a limited run of 200, we will be getting 14 of them. And as of this writing, only 8 are left. Only $54.99 plus shipping. Get ’em while they last!